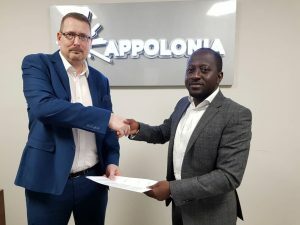 Construction specialists Comland Ghana Limited will build a turnkey warehouse at Appolonia Business Park, the light industrial zone at Appolonia City, Greater Accra’s new city development. The partnership will deliver its first warehousing facility targeting clients looking to lease space in the business park and positioned to offer build-to-lease solutions for tenants which include local and international companies. The 200-acre Appolonia Business Park is suitable for logistics and warehousing, food and beverage, agro-processing, building materials, shared services and data centres, garments and textiles and plastics and chemicals, among other industries. Earlier this year, the Association of Ghana Industries signed an agreement with Appolonia City to develop an area within the large-scale urban development, designated for use by some of Ghana’s leading manufacturing and industrial companies. A number of local and international companies have already purchased land at Appolonia Business Park, including Alusynco, Crownhouse Construction & Logistics Ltd, PUMA Energy Ltd and Total Ghana Ltd.